This latest stable Kernel 3.10.2 has been released. All users of the 3.10 kernel series are urged to upgrade as soon as possible. 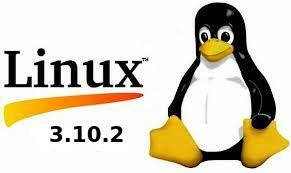 This tutorial shows how to install / Upgrade Kernel 3.10.2 for Ubuntu 13.04, 12.04, 12.10 and Linux Mint users. Linux Kernel 3.10.2 is also a small release that includes a few updated drivers, fixes for the ext3 and ext4 file systems, as well as other small changes. Read the announcement. The Kernel PPA has updated with latest DEBs for Ubuntu and Linux Mint users. Press Ctrl+Alt+T on your keyboard to open a terminal window. When it opens, run below commands to download the Debs. Once done, restart your computer and you should see the entry with Linux Kernel 3.10.2. Thanks to point it out!